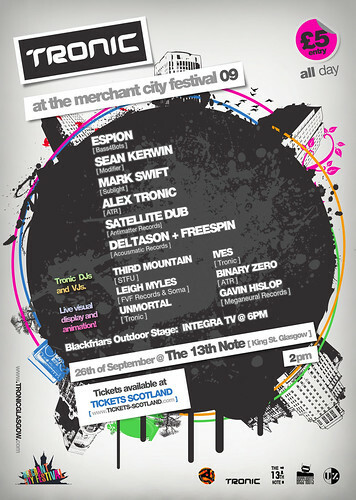 I am very pleased to announce that I will be playing a set at Tronic @ Merchant City Festival on a real vintage Commodore C64, with live retro visuals by Russell/These Are Ideals. I will be bringing some best sounding tunes that have ever been composed on the C64, so better be there or be square! UPDATE: I am posting the playlist and the short video (above) from the gig. Thanks to all authors for their brilliant compositions!